It’s hard to overstate just how bad Jamal Murray was through the first three quarters of Game 2 against the Spurs. The numbers are as plain and grim as numbers get: 0-of-8 from the field, two assists, and a plus-minus of -18 in 24 minutes. But even those numbers don’t quite capture the depths to which Murray had plunged—a focused and in-rhythm shooter can still go 0-for-8 over a stretch because sometimes the ball just doesn’t go through the damn net. Murray, however, was nowhere close to the beat; he looked rattled and tentative, and was probably one more miss away from turning into a puddle on the court. He looked like he didn’t belong in the game. Denver head coach Mike Malone seemed to have accepted that possibility as fact when he pulled Murray from the floor midway through the third quarter, his team down 71-56. Malone’s decision to yank Murray (and Will Barton, who was somehow playing even worse) was rewarded immediately, as the Nuggets went on a furious run over the next five minutes to pull within six points. At this point, any shot the Nuggets had at pulling off a wild comeback seemed to rely on Murray and Barton staying as far away from the on-court action as possible. Nobody would have blamed Malone if he had instructed one of his assistants to lock both players in the nearest meat locker. Instead, Malone put Murray right back into the game with 1:30 left to play in the quarter. Almost immediately, Murray clanked a contested floater at the rim, and then went 1-of-2 from the line after getting fouled on the next possession. At that exact moment, it looked like Malone had just made perhaps the worst tactical decision of his entire coaching career. 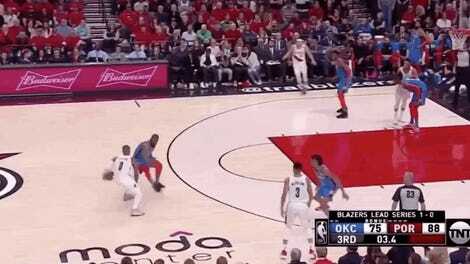 There were the Nuggets—fighting desperately to avoid an 0-2 series deficit, the obliteration of their home-court advantage, and an entire summer being labeled as massive frauds—and Malone had seemingly fired a poison arrow into his own team. You’re aware of what happened next. Murray’s eyes went white and his consciousness ascended out of the arena, and he went 8-of-9 from the field in the fourth quarter, scoring 21 points in the frame and leading the Nuggets to a 114-105 victory. The term “player’s coach” gets thrown around a lot when people talk about coaches who seem to have earned the respect and admiration of their players, but rarely do you see one embody the descriptor through such meaningful, concrete action. Malone had every reason to leave Murray screwed to the bench for the final quarter of that game, and nobody, probably not even his own players, would have second-guessed his decision to do so. 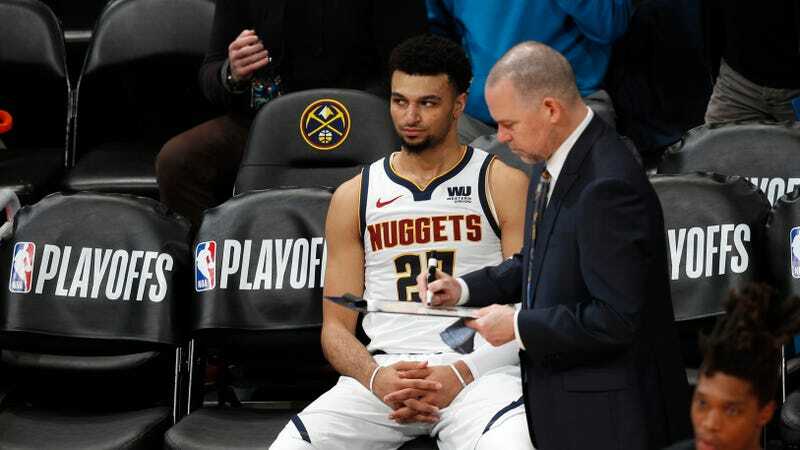 When Malone sent Murray back onto the floor with 1:30 remaining in the third quarter, he was, in that moment, prioritizing his own relationship with Murray, and the protection of Murray’s longterm belief in himself, over the Nuggets’ chances at winning Game 2. That, my friends, is a player’s coach. To say as much isn’t to scoff at Malone, or to imply that he got lucky after making an objectively poor tactical decision. Quite the opposite, in fact. It’s to say that there are many ways for a coach to put his mark on the game. Sometimes the way forward is to make the conventionally wise decision, to cut your losses when you have the opportunity to do so and to ride whatever hot hands present themselves. But sometimes it means grabbing a struggling and shaken player, as Malone did Murray at halftime, telling him, “I believe in you. I love you,” and then sending him back into the game.